Over the years our homes can become cluttered with unwanted items. These items can really get in the way and make life stressful. While some may feel guilty about getting rid of things, it is often better to recycle them instead of letting them pile up. But removing years of clutter can be a daunting project that some are not equipped to handle alone. Below, we are going to learn a few good reasons why hiring a waste removal company just make sense. trips to the recycling center which is one less headache to deal with. Simply fill up the provided dumpster and leave the rest to the removal company. company can come in and compassionately get rid of the clutter so that your family can get their lives back. Not only will hiring a professional waste removal company take the stress out of decluttering a home, it’s also highly affordable. For those who work fulltime jobs, cleaning out a cluttered home isn’t something you really have time for. Missing work just to do the clean out can end up costing you a lot of money. Instead of missing work, you can simply hire someone else to do the job for you. This will give you peace of mind knowing that the work is getting done while you are busy earning a living. As you can see, hiring a professional waste removal company has a lot of benefits. They will help you remove those unwanted items without the need for you to do all the hard work. So if your home or business needs a clean out, why not let someone else take the stress out of the project? One of the most challenging things that humans have faced throughout time is garbage removal. This unavoidable burden is something that everyone has to deal with in the past. With the advancements in technology, now we can pass that burden onto someone else. 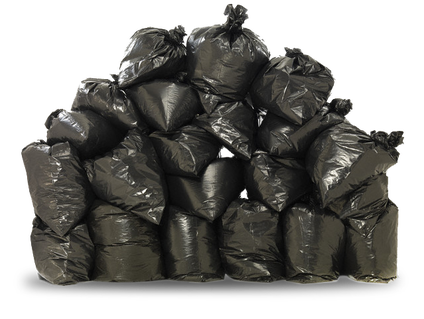 A Professional garbage removal service can come to your home and pick up your waste. Not only do these services handle household waste, they will remove a wide variety of materials as well. Today, we are going to learn why you too should be utilizing these very helpful services. Hiring a removal service to handle all your garbage needs will eliminate the need for trips to the landfill. This will save you valuable time and save you money on gas. Additionally, you won’t have to purchase or rent a trailer to haul the waste. : If you have a large volume of trash, you won’t have to worry about your bins overflowing. A garbage removal service will provide you with a large bin and once it’s filled, it will be replaced with a new one. Most garbage removal services have the ability to handle most forms of hazardous waste. This will keep you safe and remove the burden of handling sensitive materials. So if you have potential harmful waste on your property, why not have it safely removed by one of these services? No matter what size your waste removal needs are, a garbage service can handle the job for you. From large construction sites to household waste bins, these companies will have you covered. Dealing with a garbage can be very difficult and even dangerous. Not handling certain waste with the right protocols can also end up costing you lots of money. Fines for improper disposal can run in the thousands of dollars. So instead of making this costly mistake, why not hire a professional to deal with it? Let’s face it, we all have to deal with waste. Households and businesses alike produce waste each and every day. But how you deal with that waste is very important. In addition, safe waste disposal is a very important topic that we will learn more about today. Below you will learn why safe waste disposal is so important. One of the main reasons you should practice safe waste disposal is the environment. Not only is improper waste dumping illegal, but it also can kill animals and put humans at risk. Many health problems can occur in humans due to improper waste disposal. In the past, it was common practice to burn trash. But this practice is now considered dangerous to our health. Safe waste disposal methods, on the other hand, can keep us healthy and free from respiratory issues. Other health problems can also be avoided. If you get caught handling waste improperly, chances are you will pay a large fine. Local, state and even federal fines can quickly add up and even put you out of business. 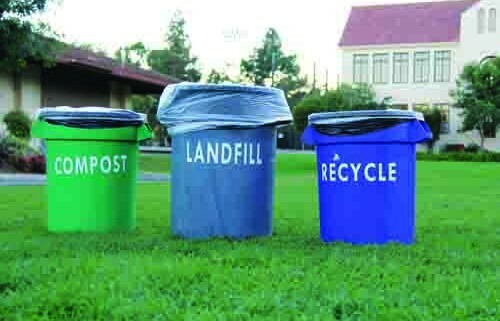 By disposing waste properly, you can save money by avoiding these very large fines. By properly deposing waste, will reduce the risk of being sued. If someone gets hurt or property is damaged due to illegal waste practices, litigation is always possible. To avoid this issue, make sure to always use the proper waste disposal methods. If you don’t feel like dealing with waste or you don’t have the proper facility to handle it, why not outsource it? A professional waste removal company can safely get rid waste for a small fee. This will allow you to forget about your waste issues and focus on more important things.